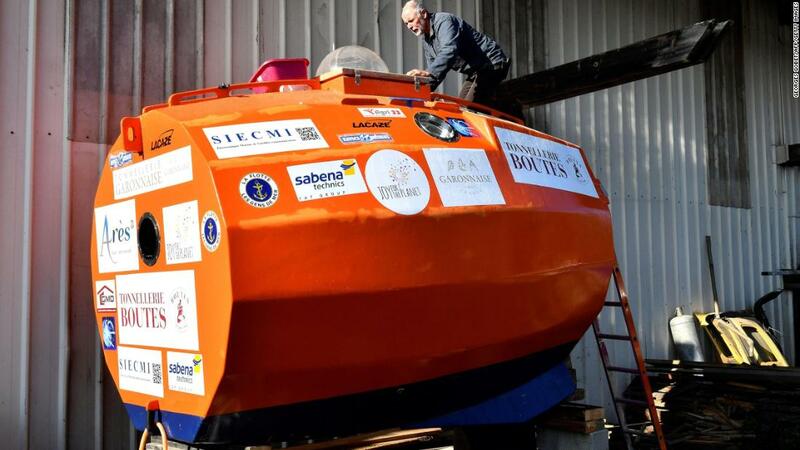 Jean-Jacques Savin left the Canary Islands off the West African coast on Wednesday in a refined, barrel-shaped capsule that he had used for months. He travels at "two or three kilometers per hour" (one to two miles per hour) and intends to (literally) move across the ocean using currents (literally), he told the AFP News Agency in a telephone interview after the departure. Savin's journey is tracked online with his last marker showing him about 19 miles off the island of El Hierro, from which he left. He has a bottle of Sauternes white wine and a block of foie gras for New Year's Eve and a bottle of Saint-Émilion red for his birthday in January, according to AFP. A porthole in his temporary home will provide a large part of his entertainers He will allow him to watch the passing fish and Savin will mark the way along the way so that the international ocean observatory JCOMMOPS can study ocean currents. The ship contains a bed and a small kitchen and some storage space. Savin is undecided where he hopes to end. "Maybe Barbados," he told AFP, "although I really like being a French island like Martinique or Guadeloupe, that would be easier for the paperwork and for getting the barrel back." 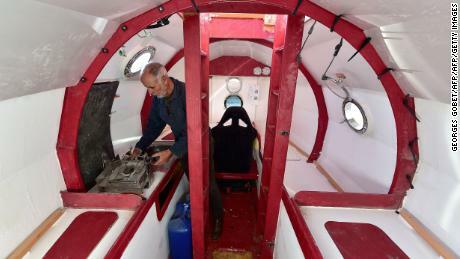 About 2,850 miles separate El Hierro from Barbados, but Savin said his ship has behaved so far "very, very well".